Approximately 300 national participants will join this competition, which starts at the beach and heads up the mountain in Litibú. 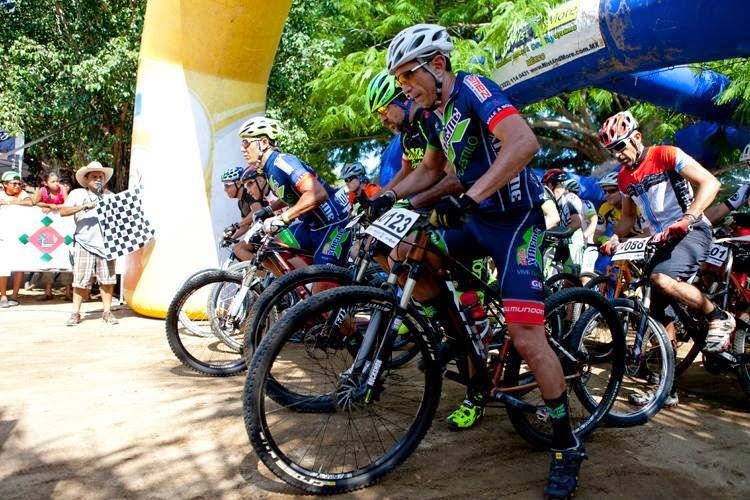 The Jalisco Mountain Bike Sports League (Liga Deportiva de Ciclismo de Montaña Jalisco) and the Club Velo Bike—with the support of the Riviera Nayarit CVB’s Groups and Events department—invite riders to the 2nd Annual Riviera Nayarit Mountain Bike Race in Litibú on Saturday, May 30th. “This mountain biking event will be quite sui generis, as it will start at the beach: we’ll take off from the sand and head out through an area the Litibú Golf Course opened up for us, then up the mountain through the village of Higuera Blanca,” explained Belín Villasante, a member of the Organizing Committee. Approximately 300 riders are expected, most of them from Colima, Nayarit, Jalisco and Michoacán. This event also celebrates the 5th year of the country’s Lijacim marathon series. Another detail that makes the race unique is that it starts at 4 p.m. in order to give participants time to arrive on Saturday; the sun will also be going down by then, with sunset arriving right at the end of the race. The circuit is approximately 8 kilometers long and the number of laps will depend on the category. The latter range from Junior “A” for youths ages 13 and 14 all the way to “Master” for riders 60 to 69 years of age. An additional 10 categories fall between these two extremes, including divisions by gender and levels from Novice to Advanced. The registration fee depends on the categories as well, and ranges from $150 Mexican pesos to $300 pesos. There will be no registrations accepted on race day. For more details please call 322 209 07 16 or write to velobike.pv@gmail.com. Click here for additional info: http://www.velobikepv.com/.